West Virginia Northern Community and Bethany College agree to cooperate in correlating their respective programs for the Associate of Arts and/or Associate in Science Degrees and the Bachelor of Arts and/or Science Degrees. This formal cooperative agreement permits the student to benefit from attending West Virginia Northern Community College in order to pursue a baccalaureate degree from Bethany College. Upon transfer from West Virginia Northern Community College to Bethany College, the student chooses to follow either the catlogue regulations in effect at the time of his/her admission to Bethany College or the catalogue in effect at the time of his/her enrollment in the respective 2+2 program at West Virginia Northern Community College. For the student who has earned the Associate of Arts or Associate of Science degree at West Virginia Northern Community College, Bethany will accept a minimum of 60 semester hours. Courses with a letter grade of "D" or higher will transfer as letter grades. If a student transfers a course grade of "D" in his/her major field of study, the m aj or department must approve the acceptance of the course. 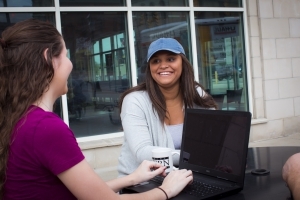 The student must take at least one-half of the required major courses at Bethany College. For the student who has not completed the Associate of Arts or Associate of Sciencedegree at West Virginia Northern Community College, only courses with a "C" or higher will transfer. The letter grades and cimulative grade point average will not transfer. Courses will be recorded as CR (credit). All transfer credits from West Virginia Northern Community College are applied to the student's program in accordance with the scheme of course classification at Bethany College (i.e. Liberal Arts Core, Majors, or Electives). The transfer student enjoys the same rights and privileges and observes the same regulations in the major department as students in the department who matriculated to Bethany College in the same year that the student entered West Virginia Northern Community College as a freshman.